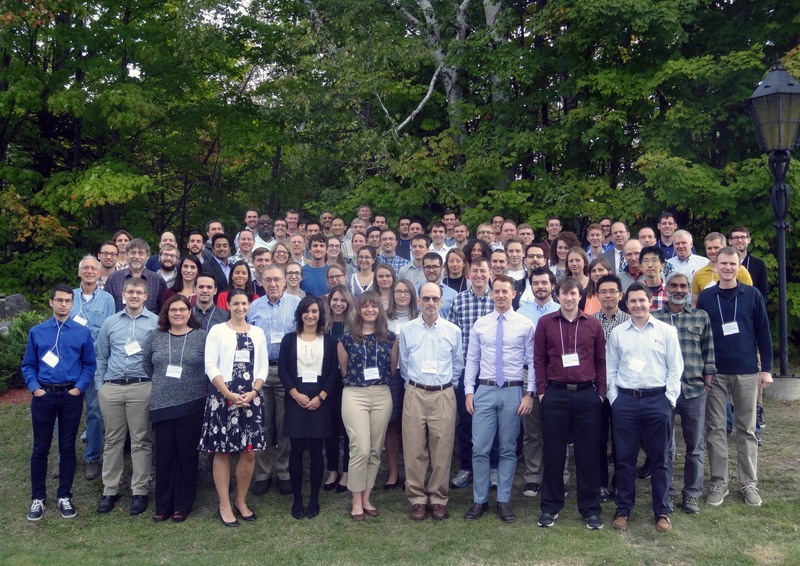 On 1-6 October 2017, CW3E graduate student Reuben Demirdjian had the opportunity to attend the 18th Biennial Cyclone Workshop at the hotel Mont Gabriel in Mont in Sainte-Adèle Quebec, Canada hosted by the State University of New York at Albany. Discussion topics included research on any cyclone related meteorological phenomena ranging from extra to tropical cyclones on synoptic and mesoscales. Reuben gave a talk on his recent research focused on observing low-level jets within atmospheric rivers using hundreds of dropsonde observations from recent CalWater I, I and El Niño Rapid Response winter field campaigns. Following his talk, he discussed his work with several senior researchers and professors who provided feedback and suggestions on possible methodologies to implement in order to test his hypotheses. The results of the meeting will improve Reuben and CW3E’s current research and motivate new topics. Group photo of the workshop participants. Reuben is pictured first from the left in the fourth row.